Central Visayas is the top eco-tourism destination in the country as the Regional Eco-Tourism Committee chaired by the Department of Tourism (DOT-7) is fast tracking the identification of eco-tourism sites in the region for tourism development. Regional technical director of the Protected Area, Wildlife Conservation Zone and Management Services of the Department of Environment and Natural Resources (DENR-7) Dr. Al Orolfo, disclosed about the number one status of Region 7 as an eco-tourism haven nationwide. “Bohol is the top choice as an eco-tourism destination in Central Visayas followed by Cebu,” said Ornolfo during the recent meeting of the Regional Inter-Agency Steering Committee on Environmental Education. “Eco-tourism has a very lucrative potential in Central Visayas,” said Orolfo which the government hopes to tap and further market in the domestic shores and abroad. DENR-7 used to chair the regional committee which this year is now led by the DOT-7. Apart from government stakeholders, also members of the committee are the local government units and other concerned sectors, said Orolfo. Orolfo said the vast potentials of eco-tourism have yet to be optimized as government is now gearing towards such direction; of which Bohol he added is already very advanced in effectively promoting and marketing the province as an ideal eco-tourism destination. “This year will be the identification of eco-tourism sites which is why we need the LGUs to help us identify these areas,” bared Orolfo adding the committee will then determine how huge the potentials are as a tourist crowd-drawer. He added, after the identification of eco-tourism sites in the region this year, by 2015 or next year, development of these eco-tourism sites will begin. This will be in partnership with the concerned LGUs and tour operators. Orolfo said that in 2016, aggressive marketing strategies will be applied to ensure the promotion of such eco-tourism sites. 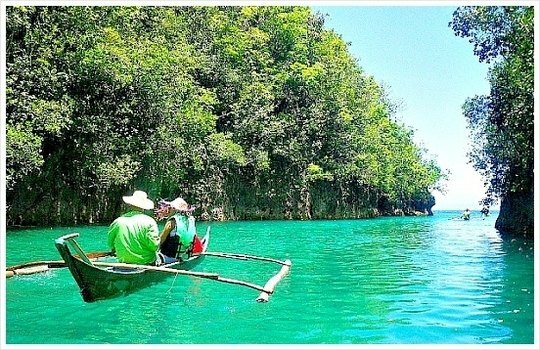 In Cebu, the DENR-7 official cited Bantayan Island, which has already gained a reputation as a popular tourist haven as one classic example of an eco-tourism destination.